Linux, a Unix-compatible operating system that runs on personal computers and larger servers, is valued above all for its networking strengths. 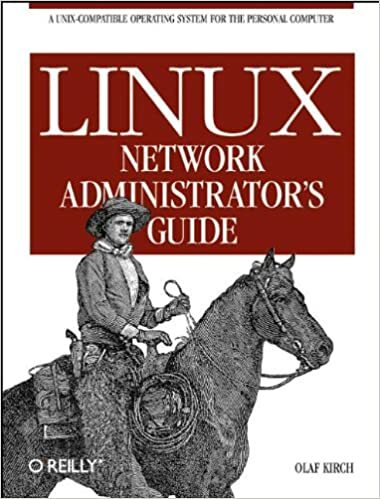 The Linux Network Administrator’s Guide spells out all the information needed for joining a network, whether it’s a simple UUCP connection or a full LAN with a Linux system serving as a firewall, an NFS or NIS file server, and a mail and news hub.This book, which is one of the most successful to come from the Linux Documentation Project and remains freely distributable under its license, touches on all the essential networking software included with the operating system, plus some hardware considerations. Fully updated, the book now covers firewalls, including the use of ipchains and iptables (netfilter), masquerading, and accounting. Other new topics include Novell (NCP/IPX) support and INN (news administration). Original material on serial connections, UUCP, routing and DNS, mail and News, SLIP and PPP, NFS, and NIS has been thoroughly updated. Kernel options reflect the 2.2 kernel. However, some topics covered in other books (notably Samba and web server administration) are not in this book.